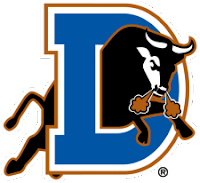 The Durham Bulls finished the week 5-2 and improved to 49-32 on the season. They continue to lead the division with by eight games. The league announced the roster for the 2010 All-Star game and three Bulls were nominated to the team; Joe Dillon, Dan Johnson and Elliot Johnson. Transactions: Dale Thayer placed on 7-day disabled list (6/27/10). RJ Swindle placed on temporary inactive list. (6/28/10). Justin Garcia transferred to Charlotte (6/30/10). Carlos Hernandez activated from disabled list (7/1/10). RJ Swindle activated from inactive list (7/2/10). Disabled List: Jason Cromer, Elliot Johnson, Dale Thayer and Virgil Vasquez. The Week Ahead: 7/3/10-7/5/10: vs Gwinnett Braves (40-42). 7/6/10-7/9/10: vs Norfolk Tides (37-46). Virgil Vasquez off DL on 6/27 (I think). Pitched his first game since 4/21 on 6/29. 5 innings, no decision (Bulls won). Thanks Chris. I missed that in the transactions.